Our goal is to connect people with the best local experts. We scored electricians on more than 25 variables across five categories, and analysed the results to give you a hand-picked list of the best electricians in Denver, CO. Accuracy Electric Inc. is an independently-owned Denver electrical company founded in 2006. They are available for existing structures, additions, and remodeling. They specialize in custom indoor and outdoor lighting and high-volt circuits, and also offer panel upgrades, emergency electrical service, wiring, RV hook ups, code corrections, solar panel installation, hot tubs, ceiling fans, and more. Affordable Electrical Service promises customers low-cost residential and commercial electrical work. Working throughout Metro Denver, they offer panel and meter upgrades, wiring, fan installation, interior and exterior lighting, generators, repair work, surge protection, and more. They are licensed Master Electricians and members of the National Electrical Contractors Association. Allstar Electrical Services LLC is licensed and bonded for full-service residential, commercial, industrial, and institutional work. The Denver electrical contractor specializes in system upgrades, including safety lights, solar, photovoltaic, energy efficiency, wireless transitions, and more. They are EPA certified lead-safe and accredited by the Better Business Bureau. The Denver contractors of APower Electric Service emphasize safe practices, exceeding National Electric Code guidelines, for their residential and commercial customers. They provide general service and repairs, panel upgrades, lighting, generators, surge protection, upgrades, and electrical heating. They employ a Master Electrician and bring over 15 years of combined experience to every job. A professional Denver electrical contractor, Arens Electric serves residential, commercial, and industrial customers. They specialize in design and ground-up building projects, but are also available for lighting retrofits, electrical repair, and panels and breakers. The company has been in business for more than 30 years. The owner of Attaboy Electric Service has 16 years of experience and two Master Electrician licenses. The local Denver electrician specializes in residential services, offering safety inspections and repair, surge protection, rewiring, generators, appliances, and more. They guarantee their work with a five-year warranty. Bishop Electric serves residents and businesses throughout the Denver area. They specialize in safety equipment, repairing and installing smoke detectors, fire alarms, carbon monoxide detectors, and motion sensors. They offer free estimates on jobs of all sizes, including lighting, panel replacements, solar energy, electric heat, hydroponics, ceiling fans, and more. Denver Electric and Lighting employs an experienced team to serve their residential and commercial customers. Their employees are all insured Master Electricians with at least 12 years in the field. The company has been in business for more than 20 years providing lighting, indoor and outdoor wiring, appliance hookups, installation, outlet repair, and more. They are available 24/7 for electrical emergencies and are accredited by the Better Business Bureau. Don’s Electric Service has a quarter-century of experience as a Denver electrical contractor. They are all licensed Journeyman Electricians, and their residential services include upgrades, panel installations, remodels, generators, wiring, troubleshooting, and remodel work. They value long-term relationships with their customers and are available for consultation on DIY jobs. The employees at Dutch Creek Electric are experts in wiring, installation, maintenance, and repair. Fully licensed and insured, the Denver electricians specialize in electrical panels, lighting options, energy efficiency upgrades, surge protection, outlets, and ceiling fans. They value lasting relationships with customers and offer a 100% satisfaction guarantee and free estimates. A Denver Master Electrician owns and operates Ebersole Electrical Services and offers customers more than 25 years of experience. The company is licensed and insured, specializing in residential electrical work that includes switches, circuit breakers, solar panels and wiring, electric vehicle chargers, and more. Family-owned in Denver since 1969, Electri-Serve employs a team of licensed Journeyman Electricians. They are a full-service company equipped for residential and commercial jobs and an Angie's List Super Service Award winner. Their services include kitchen and bath, indoor and outdoor lighting, energy efficient upgrades, track lighting, circuit repairs, wiring, and appliance installation. The team at Electric Doctor Inc. consists of all licensed Master Electricians or Journeyman Electricians. They are a full-service Littleton electrician company that serves Metro Denver. They specialize in troubleshooting and repair, and offer installation, full-service wiring, lighting, and upgrades to residential, commercial, and industrial customers. They have an A+ Rating from the BBB and have won the Angie's List Super Service Award three times. Providing service to Denver commercial, residential, and industrial customers, Karsten Electrical Services is a locally-owned business. They specialize in lighting design and engineering, installation, maintenance, and troubleshooting. Licensed and insured, Karsten's Denver electricians are available for emergency services and are accredited by the Better Business Bureau. Live Wire Electrical is a local Littleton contractor that specializes in home theater installations. Their Master Electrician offers residential and commercial customers a decade of experience, and is available for new design, basement and tenant finishes, surge protection, arc fault breakers, troubleshooting and repair, and more. They are a family-owned business dedicated to building relationships with customers. A full-service Colorado electrician, MBR Electric, Inc. is based in Denver. They are equipped for residential, commercial, and industrial jobs of all sizes, and specialize in new construction and remodeling. Offering a range of services including safety inspections, repair, upgrades, surge protection, code corrections, and more, they have been in business since 1986. McGrath Electric employs a team of experienced Denver electricians. Serving residential and commercial clients, they specialize in older homes and affordable real estate electrical work, including inspection corrections and fix n flips. Customers have praised them for being fast and friendly while performing repair, installation, wiring, indoor and outdoor lighting, surge protection, and more. Mighty Bee Electric is licensed and insured for residential and commercial work. They are a family-owned Denver electrical contractor, and are available for full-service installation and repair. An Angie's List Super Service Award winner, past customers have praised their skill and ability to quickly solve difficult problems. Specializing in lighting design and panel upgrades, MZ Electric is a full-service Littleton electrical contractor. The company is fully licensed and insured and serves Metro Denver. They take pride in offering creative custom lighting solutions, and a range of services that includes surge protection, rewiring, troubleshooting, energy efficiency upgrades, and more. The company offers discounts to seniors, military personnel, and teachers and won a gold star certificate from the Better Business Bureau in 2014. Winner of the BBB Torch Award for Marketplace Trust, Piper Electric Co. serves residential, commercial, and industrial customers. The Denver electricians are a design and build firm, specializing in remodels and new construction. They have been in business since 1983 and offer 24/7 emergency services, lighting, safety repairs, improvements, and installation. Since 1997, Power Panel Pros has been a Denver electrical contractor specializing in panel upgrades, lighting, and circuitry. The husband and wife team are both Master Electricians and focus on affordable, timely service for residential and commercial customers. Productive Electric is available in the Denver area for 24/7 emergency electrical service as well as scheduled residential repairs and upgrades. They are licensed and insured, available for lighting, power outlets, panel upgrades, circuit tracing, remodel wiring, and more. Productive Electric prides itself on providing a positive work environment for its well-trained and experienced staff. Sin Jac Inc offers electrical service to Metro Denver. 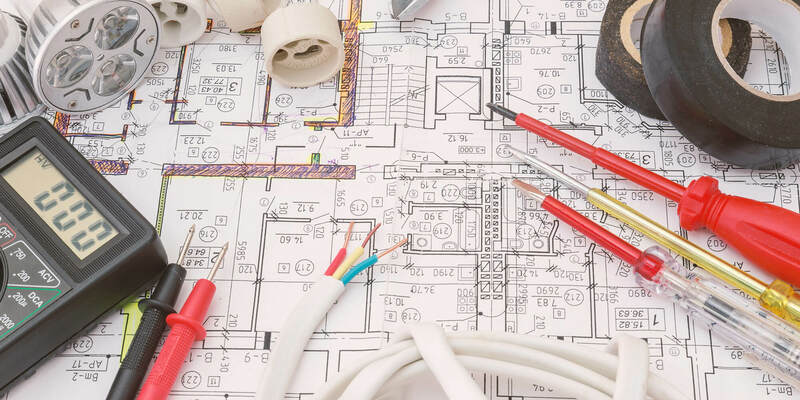 They have 30 years' experience providing residential and commercial customers with circuits and wiring work, lighting, electrical panel upgrades, code compliance, and more. They are independently-owned and bonded, and provide emergency services. Singletrack Electric specializes in residential, security, and home theater electrical work in Metro Denver. The licensed electricians emphasize communication, safety, and honesty, and past customers praise them for being helpful and attentive. In business since 2004, SJO Electric offers customized electrical solutions to the Denver area. They supply a one-year warranty on their wiring, lighting, installation, repair, and maintenance work. The licensed and insured company takes pride in providing clean and courteous service to their commercial, residential, and tenant customers for existing structures, remodeling, and new construction. Spectrum Electric Ltd takes pride in delivering fast, efficient, thorough service to their residential and commercial customers. They have been an electrician in Conifer since 1984, and specialize in high-quality generators and lighting control systems. They are available for renovation and new construction wiring, as well as service upgrades, tenant finishes, code corrections, troubleshooting, sound systems, and more. Available for residential and commercial work in Metro Denver, Streamline Electric employs industry-certified technicians who are experienced, screened, and background checked. They offer panel upgrades, surge protection, indoor and outdoor lighting, outlets, and more. Titus Electrical Services is a professional company in Longmont whose electrician have over 50 years of combined experience. They specialize in electrical repairs, lighting installation, panel upgrades, and safety inspections. Past customers have praised their speed, capability, and affordability. Professional Denver electrical contractor Wrangler Electric provides service to residential and commercial customers. They work with custom homes, apartments, luxury condos, and multifamily units and specialize in pre-wiring for solar systems, lighting controls, lutron, light touch and landscape lighting. They are licensed and insured with more than 20 years of experience. Owned by a Master Electrician with over 10 years' experience, Z Electric LLC is a Denver electrical contractor serving residents and business owners. The company emphasizes long-term relationships with their customers and offers them expertise in lighting, wiring, panels, outlets, switches, fans, appliances, and smart upgrades.